Benzoyl Peroxide is one of the most frequently used acne medication that’s available over-the-counter. It has been used for over a decade and is proven to be an effective acne treatment. It is still until now considered as one of the most successful and popular treatments for acne. Benzoyl Peroxide is available in different forms such as creams, gels, toner and cleanser. It is an antimicrobial that helps reduce the bacteria on the skin that causes acne. This medication works by providing more oxygen into the pore which kills the bacteria known as P. acnes. The P.acnes cannot live in an oxygen-rich environment. Reducing the population of the bacteria also reduces the number of acne breakout on the skin. Benzoyl Peroxide does not only provide for rich oxygen into the skin. It also helps get rid of the excess dead skin cells. Removing excess debris in the hair follicle lessens the chance of the skin from pore blockages such as whiteheads and blackheads. Use this medication as directed by your dermatologist. This product also comes with an information leaflet that you can read. Before using this product, read the information leaflet. 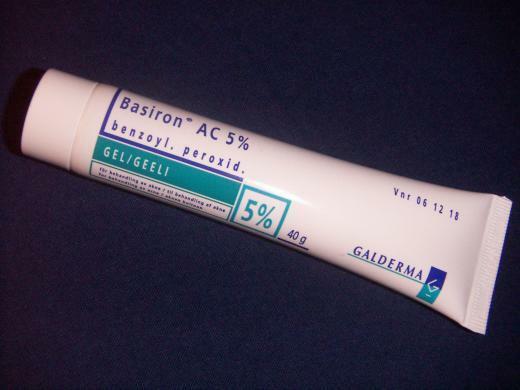 Benzoyl Peroxide is effective against mild to moderate acne. Use a lower concentration of the gel or lotion form. Start with at least 2.5percent strength. Higher concentration may irritate your skin. If you do not notice any improvements after several weeks, move up to a higher strength. Use only a thin layer of the medication. Apply it thoroughly over the cleansed and dry affected areas of the skin once or twice a day. Follow all the instruction of the information leaflet to reduce your chances of experiencing side effects. In case of severe allergic reaction, stop using this product and call your doctor right away. Continue using this product even if the acne clears up to avoid P. acnes from coming back. This medication can make your skin very dry even at the start of your treatment. Expect possible flaky, peeled and rough skin. Use moisturizer as often as you need to help you manage these side effects. Try applying moisturizer first before using the gel or lotion form if your skin is super dry and peeling. It may take up to 10 weeks or more for you to see noticeable improvements on your skin.